The Church has many examples of men, women and children who tried their best to love God with all their heart. They are called Saints. To try is to be the best we can be and that’s all that God wants of us. And after they lived their life, they died and went straight to heaven. Not only do they teach us by the example of their lives, but they pray for us so we can be like them. They also share their gifts with us. Mary MacKillop trusted in God above all else – as she knew God would look after her. This gift of trust in God is something she can give us. But there’s heaps of other Saints with special gifts, with special stories. Take these guys for example (refer to children's work) ... Can anyone tell me why these two are similar? Both St Elizabeth Ann Seton & Mary MacKillop were the first native born saints (USA/AUS) and both established catholic schools! So, if you were born in a country where there is no Saint and if you go back, dedicate your life to God and teaching, you may very well become a Saint! If you want a more adventurous life you could be like Saint Tatiana. According to legend, she was the daughter of a Roman civil servant who was secretly Christian, and raised his daughter in the faith, and she became a deaconess in the church. This was dangerous, and one day she was caught and the Romans tried to force her to make a sacrifice to Apollo. She prayed, and miraculously, an earthquake destroyed the Apollo statue and part of the temple. They got so angry they decided to kill her, so they threw her into a pit with a hungry lion. But the lion did not touch her and lay at her feet. (Notes: Tatiana was beheaded with a sword on January 12, around AD 225 or 230). St. Maria Goretti (October 16, 1890 – July 6, 1902) was an Italian girl. She is one of the youngest saints. I visited her shrine in Nettuno. She forgave this really bad man – who was so touched by what she did, that he turned to God. She teaches us how to forgive people who have hurt us. St Bernadette lived in France and Mother Mary appeared to her. I’ve been there too! St. Vincent de Paul was born to a poor peasant family in the French village of Pouy on April 24, 1581. In 1605, Vincent sailed from Marseilles on his way back from another French village where he had gone to sell some property he had inherited from a wealthy patron in Toulouse, and was taken captive by Barbary pirates, who brought him to Tunis (Africa). St Vincent was auctioned off as a slave to the highest bidder. His first master was a fisherman, but Vincent was unsuitable for this line of work due to sea-sickness and was soon sold. St. Vincent is sometimes referred to as "The Apostle of Charity" and "The Father of the Poor". 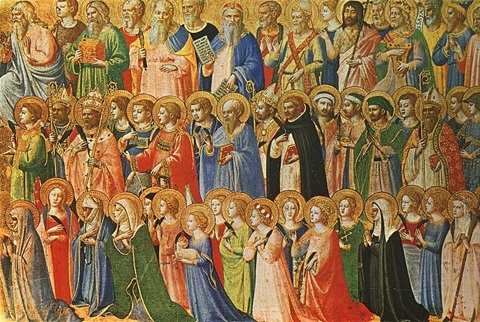 These are some examples of saints. They all had one thing in common – they strove to love God and their neighbour as themselves no matter what it cost them. 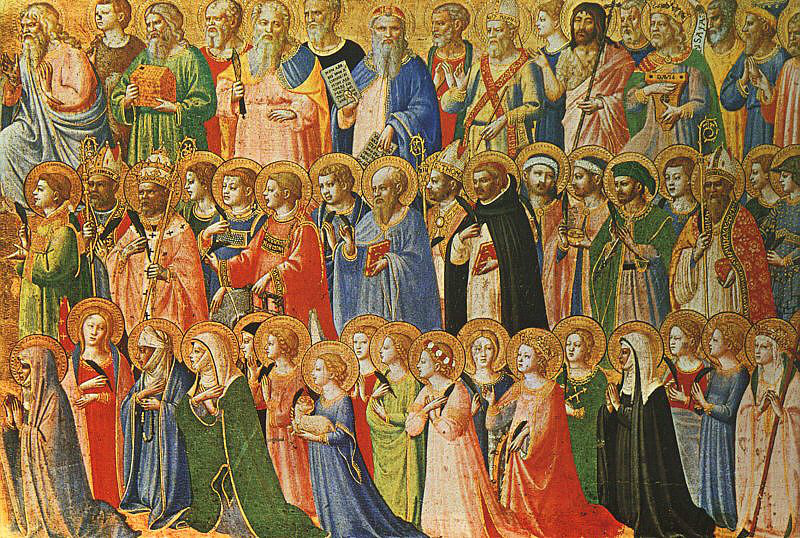 Their lives inspire us to want to become saints. Saints were not always perfect but they, in spite of having made many mistakes, persevered in doing good and in trusting in the mercy of God. Now we ask for their help in our lives.